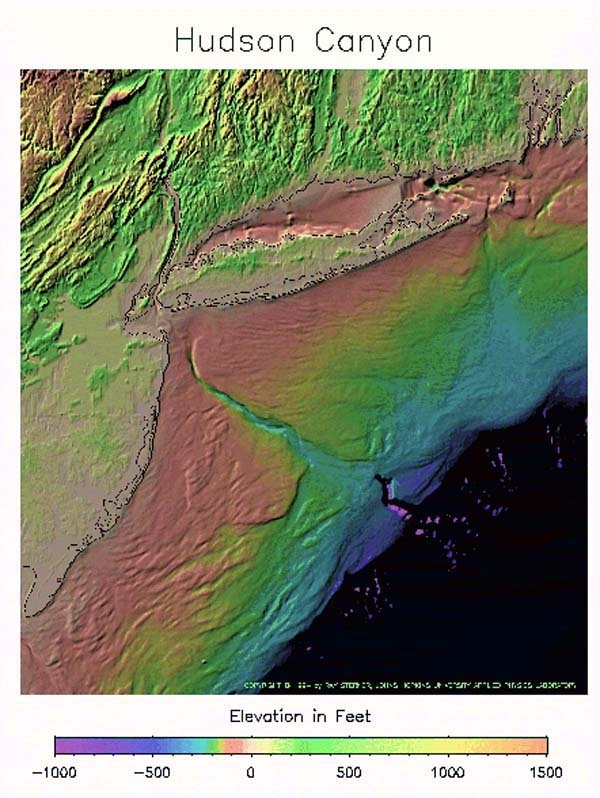 In their official nomination, the Wildlife Conservation Society (WCS) and their Coney Island Aquarium staff outlined their specific reasons for nominating the offshore Hudson Canyon as a National Marine Sanctuary. For thousands of coastal fishermen who don’t mind the “half-day boat trip” to the Hudson to tangle with mahi, tuna and billfish, there was good news on April 12 when the Mid-Atlantic Fishery Management Council (Council) voted 15-4 in opposition to the WCS pitch to designate the Hudson Canyon as a restricted area of the ocean. While claiming to have “community-based support for the nomination expressed by a broad range of interests,” the WCS marine sanctuary plan had actual fishermen and fishing industry leaders incensed. In a letter of opposition on behalf of coastal fishermen, Recreational Fishing Alliance (RFA) executive director Jim Donofrio noted that regardless of the WCS’s intention, recreational fishermen would not have any legal protection under the federal sanctuary law. WASHINGTON (Saving Seafood) – July 11, 2016 – The American Bluefin Tuna Association (ABTA) has released its position statement on the ‘precautionary approach’ to fisheries management, which the International Commission for the Conservation of Atlantic Tunas (ICCAT) is considering adding to its Convention text. The precautionary approach, which fisheries expert Dr. Carl Walters criticized in a discussion with CFOOD last month, says that if an action has a suspected risk of causing harm to the public or environment, it is up to the people taking that action to prove it is not harmful. In its statement, ABTA noted that the precautionary approach is “deeply incoherent” because, while ICCAT “should take precautions against certain speculative dangers,” precaution and inaction also create risk. “There are conditions in which it can be dangerous to reduce, increase or maintain fishing quota for the following year particularly if [we] take into account another guiding principle: maximum sustainable catch,” ABTA wrote. While maximum sustainable catch is an unambiguous concept, ABTA wrote, the precautionary approach does not specify the proper conditions for using the approach or the preventative actions to take. Without more specific guidelines, the precautionary approach can be easily abused, ABTA argued. “Efforts to impose the precautionary approach through regulatory policy will inevitably intend to accommodate competing concerns or, more likely, become a Trojan Horse for ideological crusades,” the statement said. ABTA concluded by saying that the precautionary approach could by sound policy in certain situations, but a broad framework must first be developed. ABTA suggested creating this framework using guidelines in the UN Fish Stocks Agreement or through ICCAT’s Standing Committee on Research and Statistics’ Working Group on the Precautionary Approach, which last met in 1999.